Lack of crowds, lots of room at the surf area and beaches. Sundries store had pretty affordable prices on snacks, drinks, even beer (but high markup on some other items). Vista level had great views, and good amenities (light breakfast bites, free snorkel/fin usage). However, there is still a competitive vibe at the pool, where guests stake out their "claim" for choice chairs by dropping towels on them at 7am and then leave. The hotel could do more to discourage this. Poolside restaurant was overpriced and low-quality ($12 for a tray of chips from the bottom of a bag, 1/3 cup of store-bought guac, and the same amount of what I'm nearly certain was Pace picante sauce. It was a nice stay however the buildings are a bit dated. Rooms did not have any place to plug in my devices like other nice hotels. There was construction going on on the roof top garden which hurt the view. We thought we were going to have water. Snarky letter from management stating we did not have to pay for water that we need to flush the toilet. No mention of this issue at check in even when we saw the work going on at arrival. I loved the staff. The nicest people I’ve ever met at a resort. Really nice & great view of the ocean! Enjoyed time relaxing. Great Hotel at the end of the North Shore. People Meditating on the big lawn, fun breaks on site, and overall great Place to stay! This was our first time to stay at Turtle Bay. We will definitely be back!!! What a beautiful property. We especially enjoyed the walking trails and the two golf courses. The property is older, but so are many of the best properties in the islands. Plenty of ocean views and vistas. Hotel rooms need to be renovated in the main building and refreshed in the cottages. Very dated. Everything was amazing! Our favorite part was our beach cottage. We will be back for sure. Very relaxing, it felt more like an island vacation compared to having lots of malls around. Turtle Bay Resort is an awesome destination, I wish I can stay longer. Nice hotel close to the beach. Very helpful and accommodating staff. Sisi was awesome! Turtle Bay Resort places you within a leisurely stroll of Turtle Bay Beach and Turtle Bay Faizo Course. This 443-room, 4-star resort has 2 outdoor pools along with a golf course and a full-service spa. There are ample dining options with 6 onsite restaurants, including Surfer, The Bar, which has ocean views. Savor a meal from the comfort of your room with room service, or get a quick energy boost at the coffee shop/café. For your convenience, breakfast is available for a fee. A flat-screen TV comes with cable channels and pay movies, and guests can stay connected with free WiFi. The bathroom offers hair dryers and free toiletries. Other standard amenities include a refrigerator, an oven, and a coffee maker. 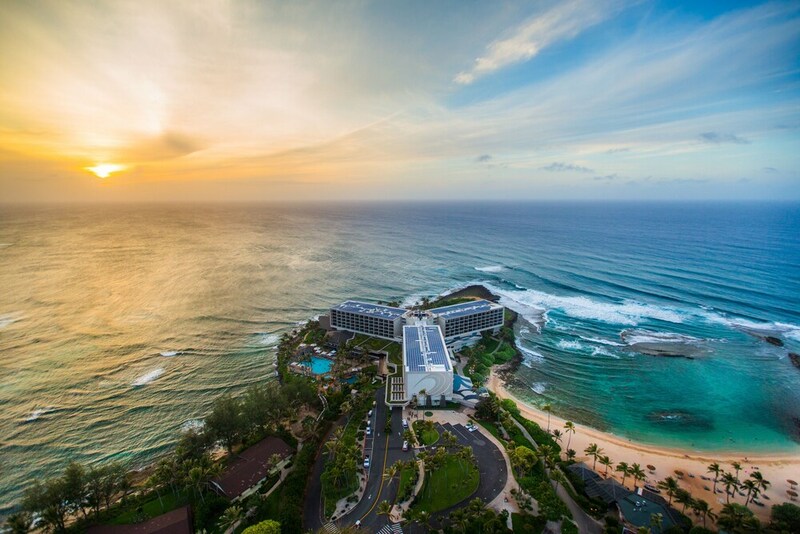 Turtle Bay Resort features a golf course, a full-service spa, and 2 outdoor pools. Parking is available for USD 15.71 per day (USD 20.94 per night for valet parking), and there's also limo/town car service. The front desk has multilingual staff on hand 24/7 to help with securing valuables, dry cleaning/laundry, and luggage storage. Other amenities at this beach resort include a nightclub, a health club, and a sauna. Thank you for staying with us. Please come back again. Thank you for staying with us and for your feedback. Please come back again. Thank you for staying with us and for your feedback. We will work on our food offerings. Please come back again. We are so happy that you enjoyed your stay with us. Thank you and we look forward to seeing you again! Surfer, The Bar - Ocean-view restaurant and bar open daily for dinner. Kula Grille - Restaurant open daily for breakfast and dinner. The Point Sunset Pool Bar - Beachfront restaurant and bar specializing in Hawaiian cuisine. Open daily for lunch and dinner. Kid's menu available. Lei Leis Bar and Grill - Golf course-view restaurant and bar open daily for breakfast, lunch, and dinner. Ola Restaurant - Beachfront restaurant specializing in Hawaiian cuisine. Open daily for lunch and dinner. Turtle Bay Resort features a golf course, outdoor tennis courts, and a health club. 2 outdoor swimming pools are on site, and the resort also has a sauna and a fitness center. This property charges the following mandatory cleaning and resort fees collected at the property: USD 314.14 cleaning fee per stay and USD 78.53 resort fee per night for "Ocean Villa 3 BR" bookings and USD 366.49 cleaning fee per stay and USD 78.53 per night for "Ocean Villa 4 BR" bookings. For more details, please contact the property using the number provided on the booking confirmation email. Oceanfront 4 Bed Luxury Villa Turtle Bay Rsrt May Special Only $695/nt Save 50%!